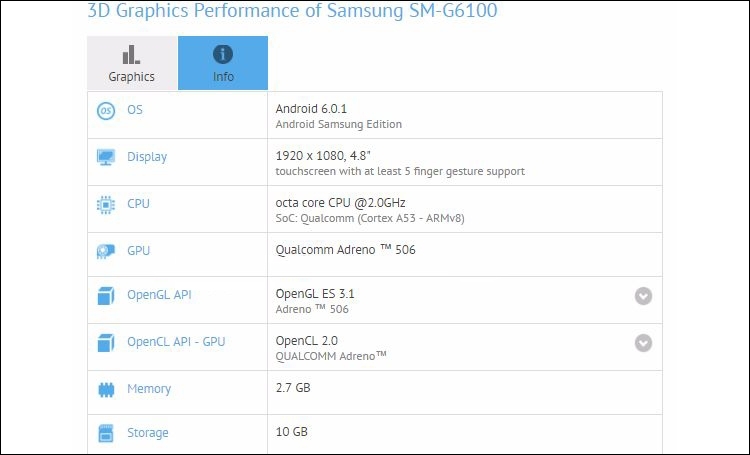 The database GFXBench revealed information is not yet officially submitted smartphone Galaxy On7 (2016) Samsung companies, who will replace last year's model. It is reported that the foundation of new items will serve a Qualcomm processor with eight cores Cortex-A53, working at a frequency of 2.0 GHz. Graphic component - integrated controller Adreno 506. Apparently, we are talking about a chip Snapdragon 625, which, in addition to these components, contains a cellular modem X9 LTE ​​for mobile networks fourth generation. 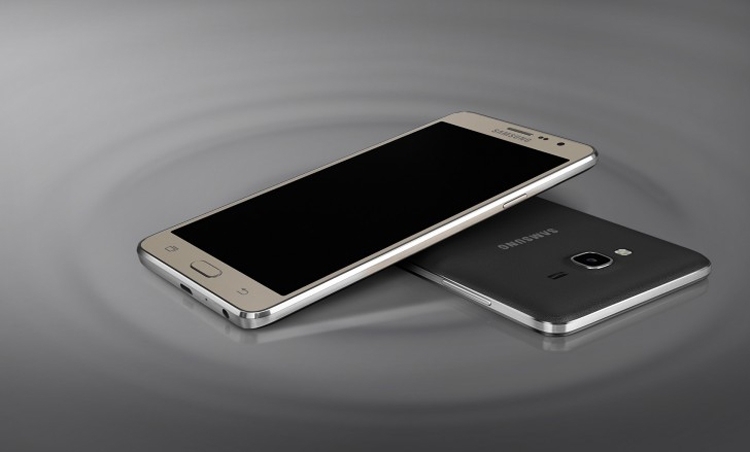 Display size Galaxy On7 (2016) specified in the benchmark GFXBench, equal to 4.8 inches. But most likely, it is a mistake, since last year's model is equipped with a 5.5-inch screen. But the fact that the resolution will increase from the previous of 1280 × 720 to 1920 × 1080 pixels, is very similar to the truth. Among other features of the forthcoming smartphone named: 3 GB of RAM, flash module with a capacity of 16 GB expandable Camera with 13- and 8-megapixel sensor. As a software platform appears the operating system Android 6.0.1.